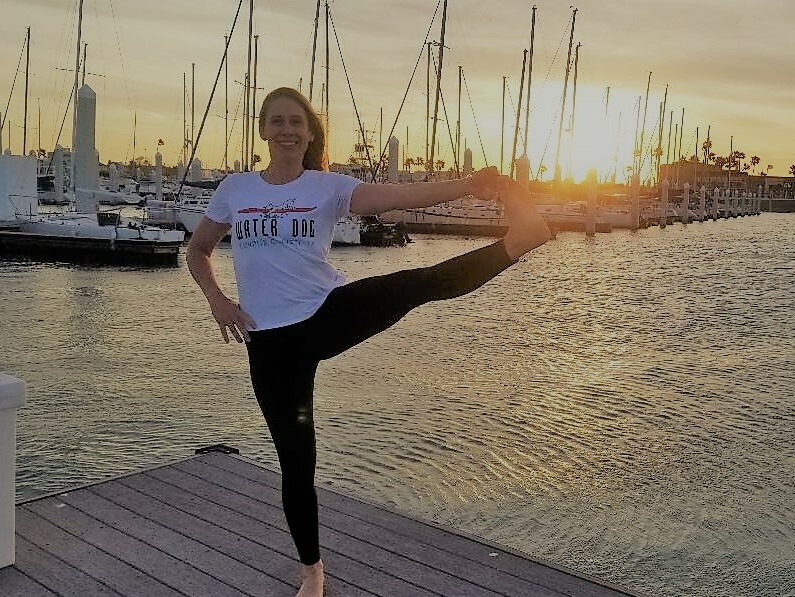 Enjoy a beautiful sunrise or spectacular sunset yoga class! The yoga studio is on a unique house boat. The top deck is engineered to be stable and hold up to 30 people (however, yoga classes can only hold 10 people). A small reception and bathroom are located on the first floor of the boat.The railings along the top deck are for safety, but still allow for a gorgeous view of the water, sky, marina and city. 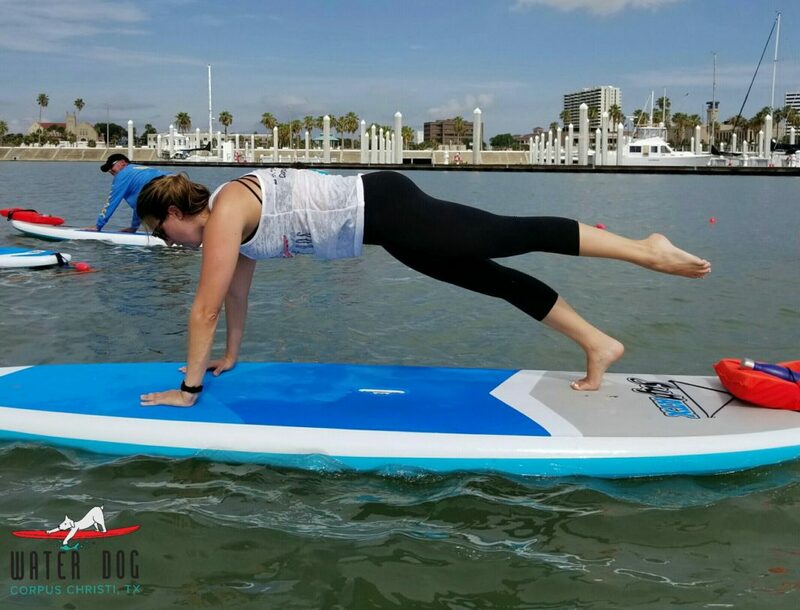 The SUPs (stand up paddleboards) are your "floating mats"
SUP Yoga & SUPilates are exciting, new fitness activities that anyone can do. Classes start with grounding poses to get you comfortable on the boards and then gradually build to more difficult poses and flows. 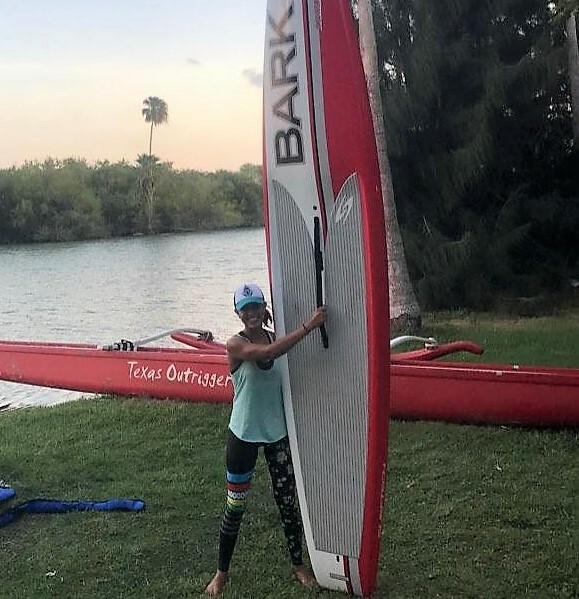 The boards Water Dog uses for class are beautiful SUP ATX Viking Fitness boards that are specifically designed for doing yoga and fitness on the water. The entire board is covered in EVA memory foam which is a grippy material for your floating mat. Our new indoor studio is located less than 5 mins from the Houseboat in the heart of Downtown Corpus Christi! We are located at 114 N. Mesquite Street in the Richline Technical building next to Mama Mia's restaurant. 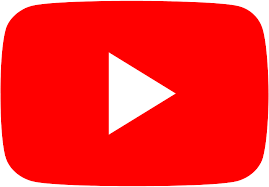 Check the Booking page to see upcoming special events and workshops or call book a private/semi-private lesson or a party for a private event! 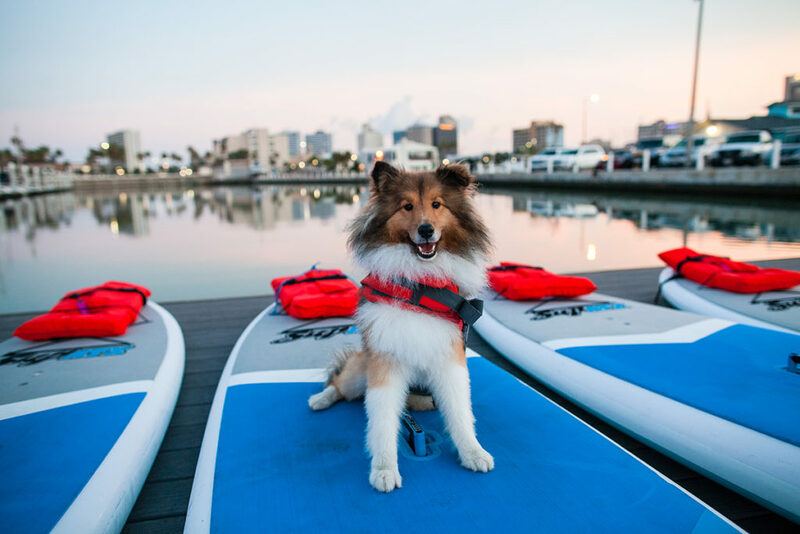 Book a class on the Floating Deck, a SUP yoga session or a private lesson and check out our special events!